In this patient, a right-sided paraduodenal hernia had been diagnosed by the use of computed tomographic scans and gastrointestinal contrast studies 1 year before an emergency operation. During the operation, the proximal jejunum, approximately 120 cm in length, was found to be strangulated through the right paraduodenal hernia (Figure 2). A nonviable bowel was resected, and the hernia defect was repaired. We found the cecum in the normal position without an obvious Ladd band. Intraoperative findings and above-described radiographic features were suggestive of underlying situations of malrotation. Ladd bands are well-known as the lateral attachments of the right colon in the typical case of a right paraduodenal hernia, because division of these bands is needed to allow for a reduction of the bowel by retraction to the left. The patient's postoperative course was uneventful. Figure 2. A strangulated proximal jejunum through the right-sided paraduodenal hernia. After removal of the incarcerated bowel, the hernia orifice was identified (arrow). The right upper region of the intestine was the duodeno-jejunal junction. Paraduodenal hernias represent less than 1% of all cases of bowel obstruction but account for approximately half of all cases of internal hernia.2 They occur 3 times more frequently on the left side and, also, 3 times more frequently in men.1 They are believed to be always congenital in origin (on the basis of embryologic evidence).4 Midgut rotations occur until the tenth gestational week. Right paraduodenal hernias result from the incomplete rotation of the midgut loop around the superior mesenteric artery during embryonic development. They involve the Waldeyer fossa (mesentericoparietal fossa), which is situated on the first part of the mesentery of the jejunum, and displace the ascending or transverse colon anterolaterally.5 Although this rotation of fetal life is normal in left paraduodenal hernias, they are thought to be due to a congenital defect in the descending mesocolon. The small bowel may invaginate into this unsupported space, the Landzert fossa, which lies to the left of the fourth portion of the duodenum between the inferior mesenteric vein and the posterior parietal attachment of the descending mesocolon. Left paraduodenal hernias can usually be reduced manually without difficulty,6 whereas right paraduodenal hernias are sometimes complicated by strangulation, as in the case reported here. Despite a congenital origin, gradual enlargement of the hernia sac with time may account for the peak incidence of symptomatic paraduodenal hernia in adults. In summary, detailed herein was a case of right-sided paraduodenal hernia that had been preoperatively diagnosed. An internal hernia is a rare cause of bowel obstruction and a diagnostic challenge. Surgeons have to pay attention to the various types of internal hernias described herein. An awareness of this entity and its therapy is important for a rapid diagnosis and for treatment without delay. 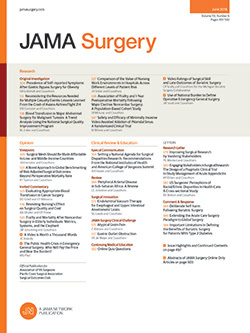 Correspondence: Dr Adachi, Department of Surgery, Tokyo Metropolitan Tama Medical Center, 2-8-29 Musashidai, Fuchu, Tokyo, 183-8524, Japan (kensuke_adachi@tmhp.jp). Accepted for Publication: July 7, 2011. Author Contributions:Study concept and design: Kondo and Adachi. Acquisition of data: Adachi. Analysis and interpretation of data: Adachi. Drafting of the manuscript: Kondo and Adachi. Critical revision of the manuscript for important intellectual content: Adachi. Administrative, technical, and material support: Adachi. Study supervision: Adachi. Additional Contributions: Takeshi Koshiishi, MD, PhD (Department of Radiology, Tama Medical Center) provided expertise in the radiographic diagnosis and interpretation.